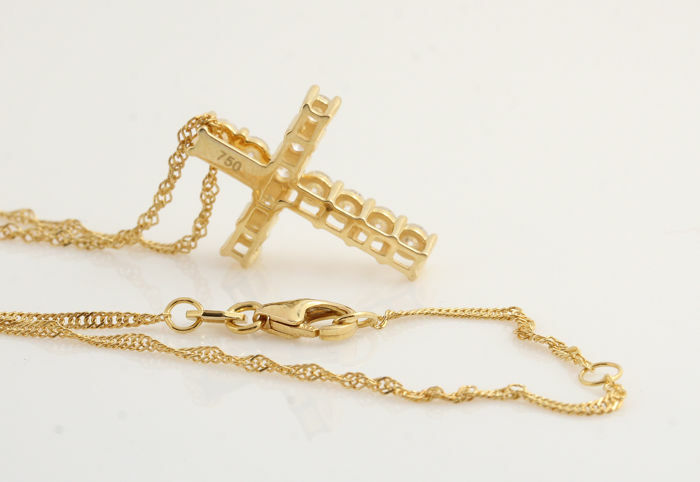 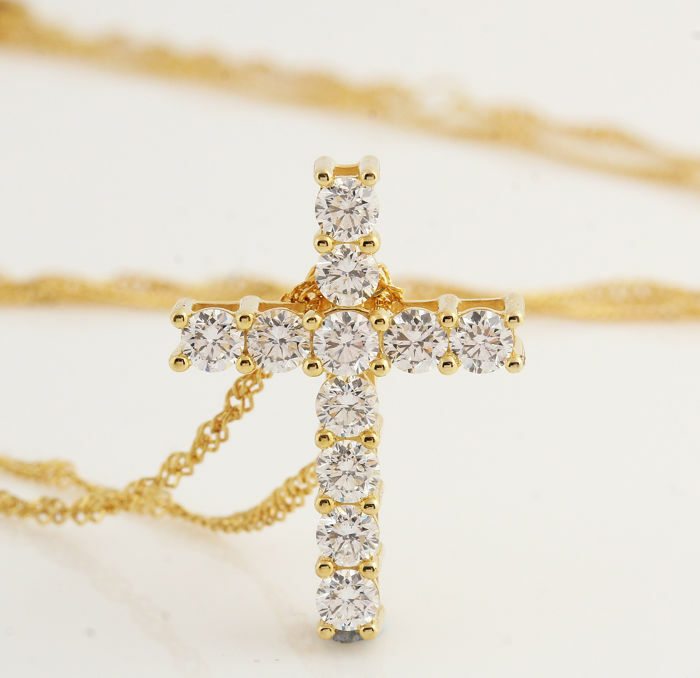 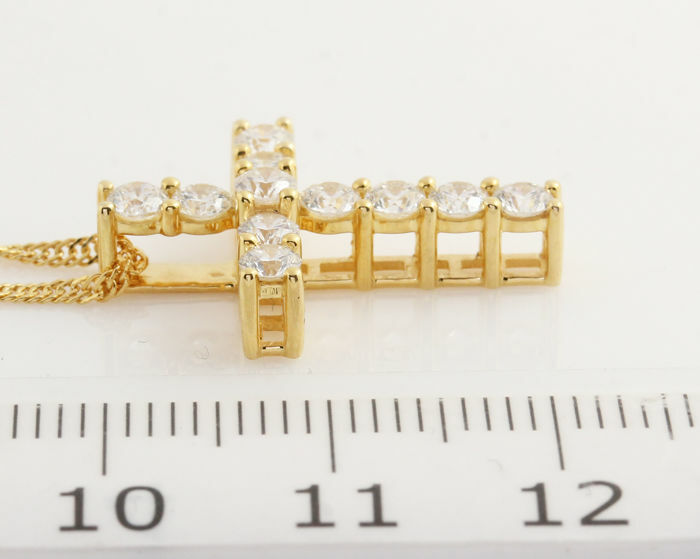 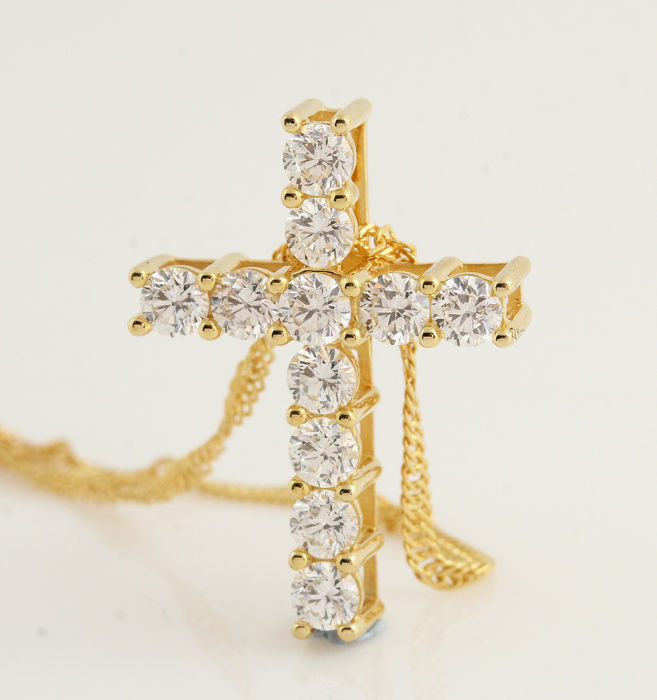 18 kt gold cross pendant with diamonds and a necklace, 1.00 ct.
18 kt yellow gold, marked. 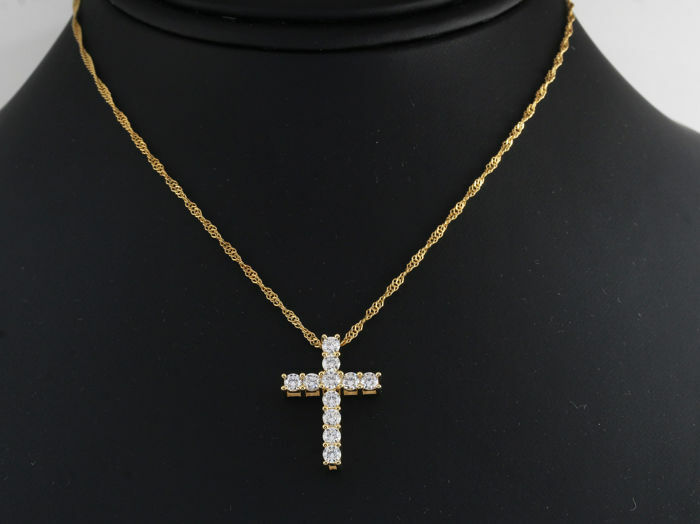 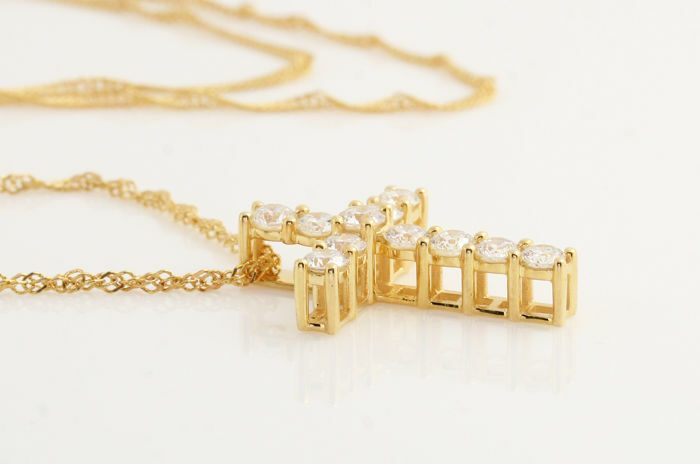 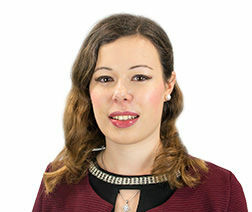 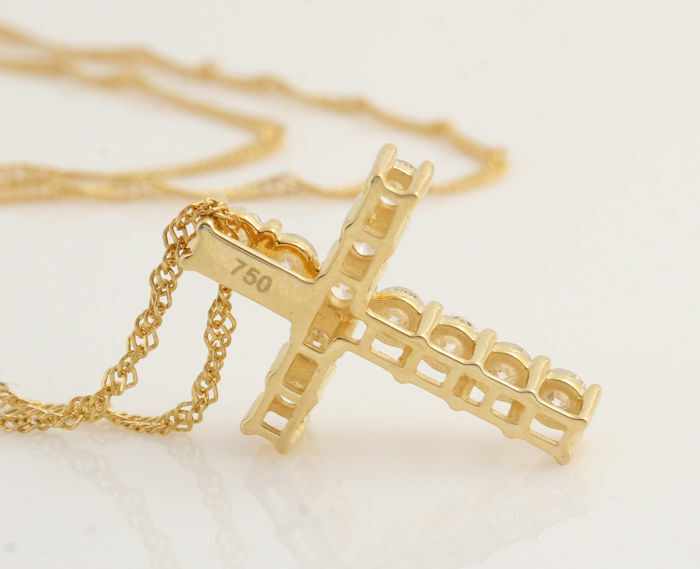 The cross pendant is decorated with 11 round brilliant-cut diamonds of 1.00 ct.
18 kt gold Singapore necklace is included. 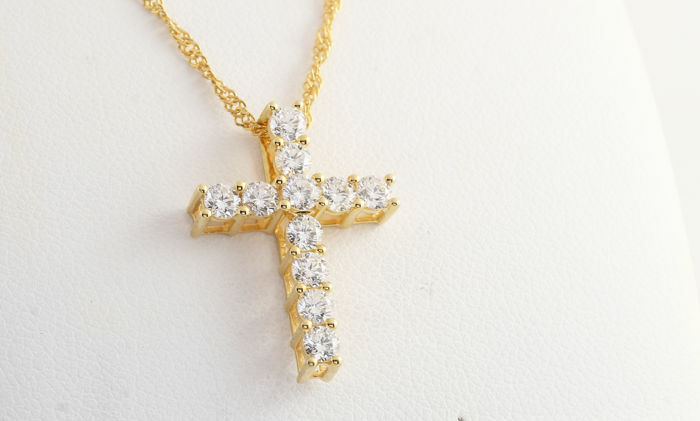 The item will be shipped in a jewellery box and sent by insured post, by FedEx.